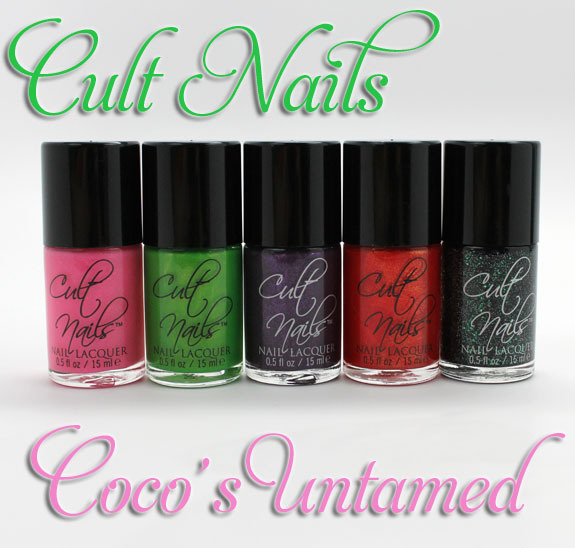 Cult Nails Coco’s Untamed Collection features five new shades created by Maria’s daughter Coco. Coco is not quite yet thirteen but already quite the nail polish aficionado and very creative! This is a special collection which will be available for pre-sale pricing on July 11th, which is Coco’s thirteenth birthday. The shades will be available as a collection only from July 11th-July 17th at a reduced price. On July 18th they will be back to normal pricing! Untamed is a bubblegum pink jelly with tiny micro-glitter bits. Since it’s a jelly it’s somewhat sheer, but I was able to get pretty nice coverage with three thin coats. This is a very “girly” pink, but I actually like it because of the subtle shimmer. Deal With It is a bright lime green with gold shimmer. This color is really amazing in person. It’s such a vivid green and the heavy gold shimmer is gorgeous with it. This was my favorite one from this collection. It is a little sheer, I used three coats. Also it wants to dry a bit matte, but a top coat makes it shiny again. Spontaneous is a muted purple creme with bright purple micro-glitter. 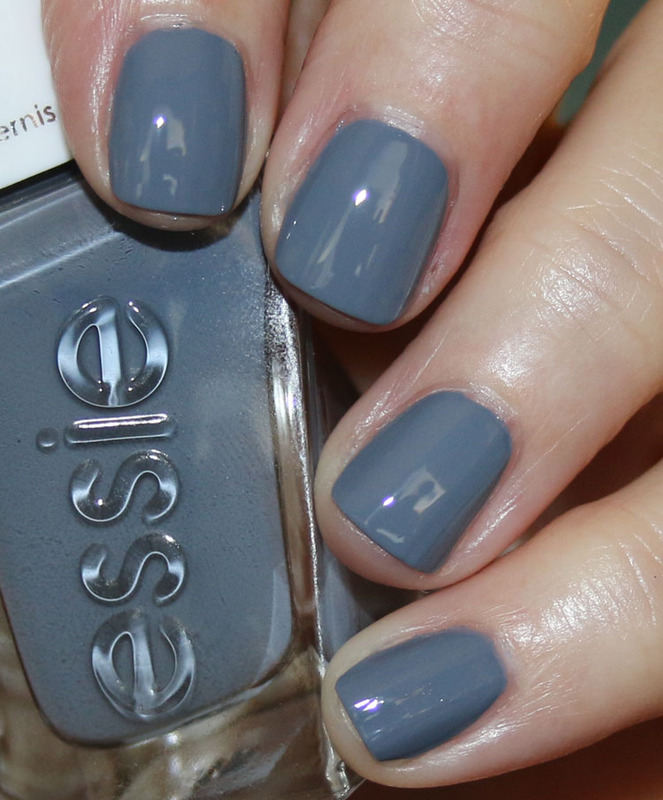 This was a really nice and creamy formula and I only needed two coats. The glitter is a bit subtle in this one so what you mostly see is a smokey looking purple with slight shimmer. Annalicious is a red/orange with red and gold shimmer. This one is a stunner! The color in person looks a little more orange than here. It’s super saturated, super vibrant and really glow-y. Love it! This was two coats. I Got Distracted is a black jelly base with heavy holographic and green glitter. Stunning! The black base covers really nicely and the glitter is SO…glittery! Really fun shade. This was two coats. Overall: Nice collection, there are some great unique shades here. I really loved Deal With It, Annalicious and I Got Distracted especially. Availability: Starting July 11th for pre-sale. Pricing: Pre-sale pricing will be $40.00 for the collection. After that it will be $50 for the collection or $10.00 per bottle (0.5 oz). Which ones are you going to be picking up? What Does Revlon Colorstay Ultimate Liquid Lipstick in Prime Pink & There’s Something About Mary Have in Common? butter LONDON Turn in Your Toxins! I love Deal with it! I got Distracted is also very nice! I like the fact that you don’t have to layer it on top of anything for it to be opaque, and the jelly finish is excellent! Yes that’s the great thing about it, no layering! I Got Distracted is so gorgeous! I would probably need the pink too though…. 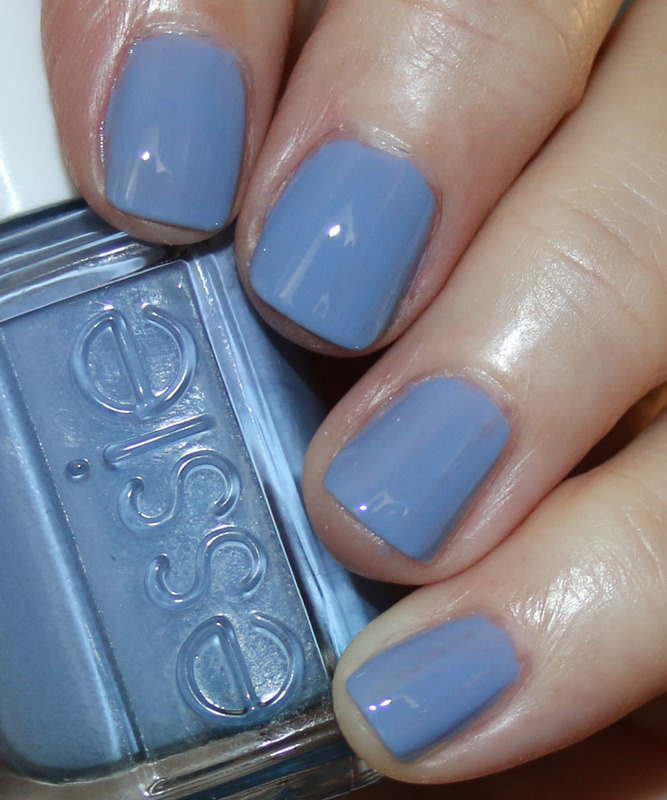 Caitlin´s last post…Summertime Nails Of the Day! 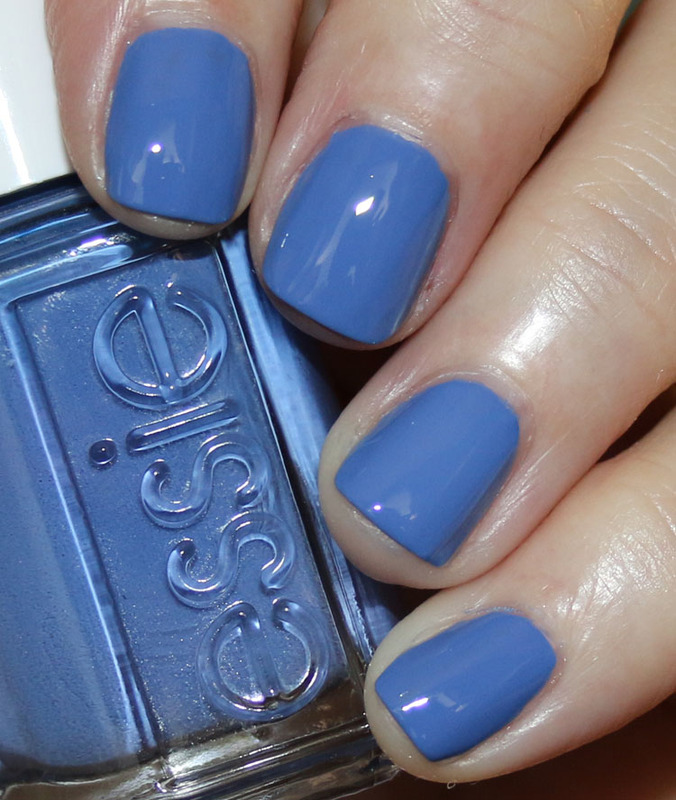 Orly Beachcruiser & Joe Fresh Fluo Blue! Thanks! 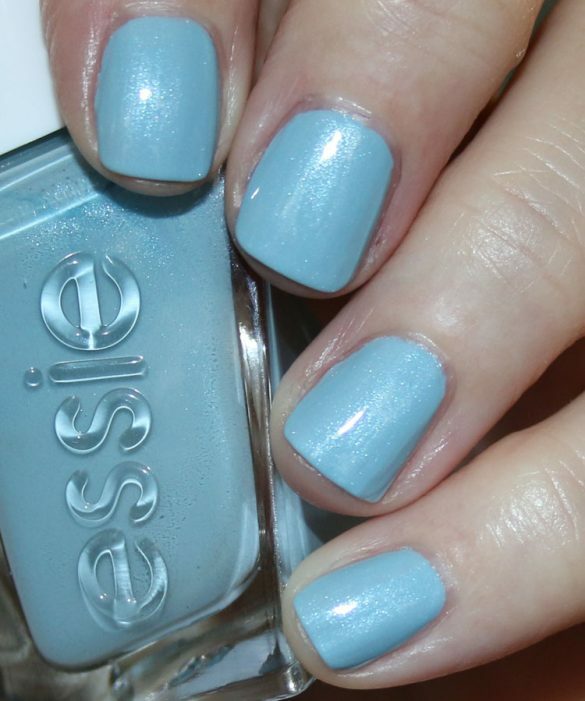 Annalicious is really amazing, one of those colors you can’t look away from. Ooh, that Deal With It is to die for. I love gold shimmer colors! Me too, gold shimmer makes everything look better! I Got Distracted is gorgeous! I think Annalicious and I Got Distracted are my favorites. Also, I love the name Coco! Deal with It reminds me a lot of China Glaze Cha-Cha-Cha. 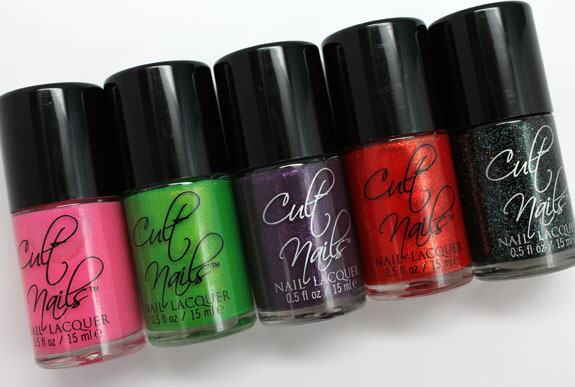 I like all but untamed and that is only because Imnot a fan of pink in general. I must have these!! I want them all!!!!! I am suprised that I liked Untamed as much as I do. Not normally drawn to pinks but the sparkle is pretty. I simply cannot pick which one I like the best! Deal With It knocks it out of the park! I Got Distracted is my favorite! I love them all. I wore Spontaneous on Sunday and can’t wait to swatch the rest. Each shade has its own unique twist that makes them some ‘gotta-haves’. Love I Got Distracted and Annalicious. Just beautiful. Deal With It is the one shade from this collection that really makes my heart race. I just love how bright and fun it looks! I have my eye on I Got Distracted and Spontaneous. 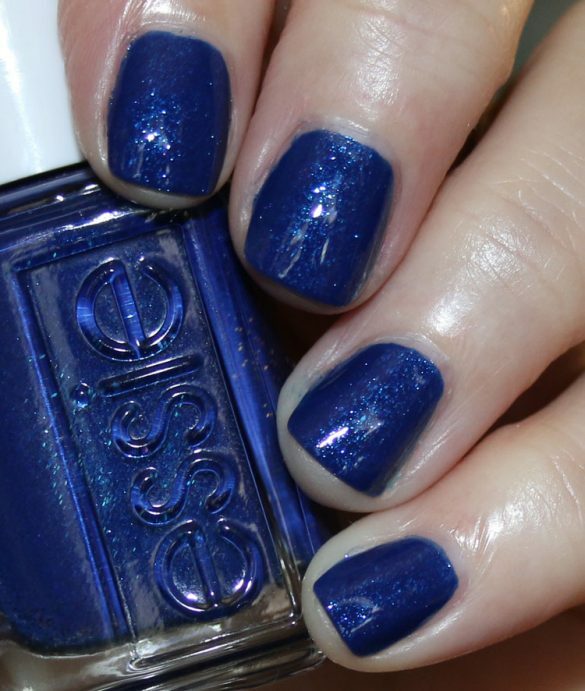 What I’m really craving from Cult Nails is a bright cobalt blue…. I think Spontaneous is the only one of these that doesn’t stand out as much for me. Odd since I’m a purple lover. Even the pink looks great! It’s quite tempting to pick up the whole collection. Wow, Deal With It is a stunner! So are Annalicious and I Got Distracted. I want them all! I LOVE deal with it. Such a bright vivid green. I’m going to have to take the leap and purchase these! Wow! This collection is amazing, I have to have them all. Do you know if annalicious is similar to CG riveting? I love “I Got Distracted”- gorgeous!! And a cute name, to boot. I Got Distracted is my favorite but I’m reallt feeling untamed too. Maybe its the added sparkle/shimmer. I really like it.